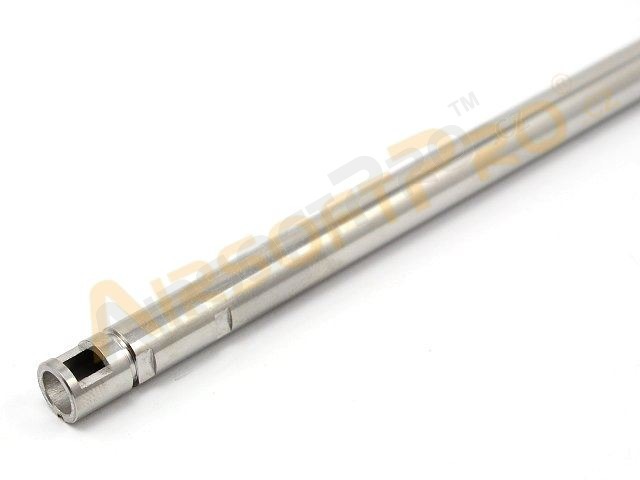 Precision stainless steel barrel with an inner diameter of 6.03 mm (manufacturer says 6.02 mm) and a length of 430 mm. Due to its accuracy and narrower diameter it better seals the BBs, increasing performance and accuracy. 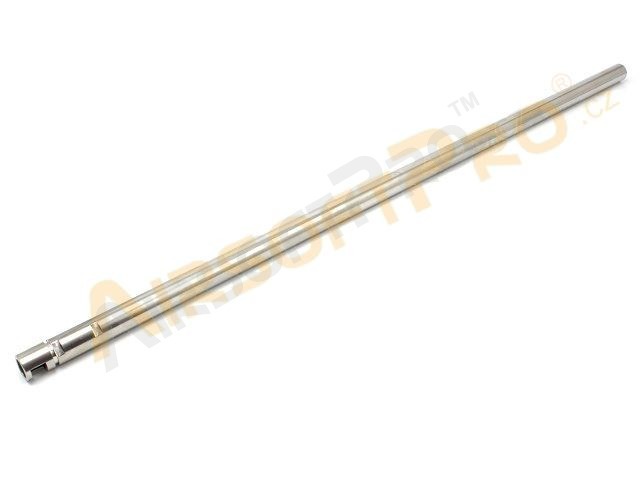 The barrel has an outer grooves that allow you to install not only HopUp buckings for electric guns, as well as buckings for GBB rifles and pistols and VSR type sniper rifles. Marui VSR system. For example Marui VSR-10 Pro (corresponds to its length) and Chinese copies. For example, Well MB02, MB03, MB07, MB09..etc. Original HopUp chamber is required. Electric guns. The barrel uses standard HopUp buckings. Gas guns. We had tested this barrel on WE brand GBB pistol and it significantly improved BB velocity 20-30 m / s up. Before you buy, make sure that you selected the right length. 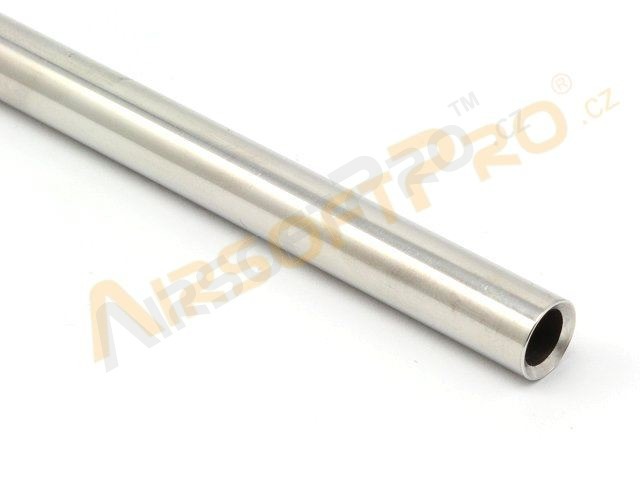 We offer more different lengths which may fit on your gun. You can purchase a longer barrel than the weapon and hide protrude part in suppressor.